***Update*** There are no current shows planned. Orders will be shipped to you with full opening instructions and an appraisal card instead of opened on the live show. 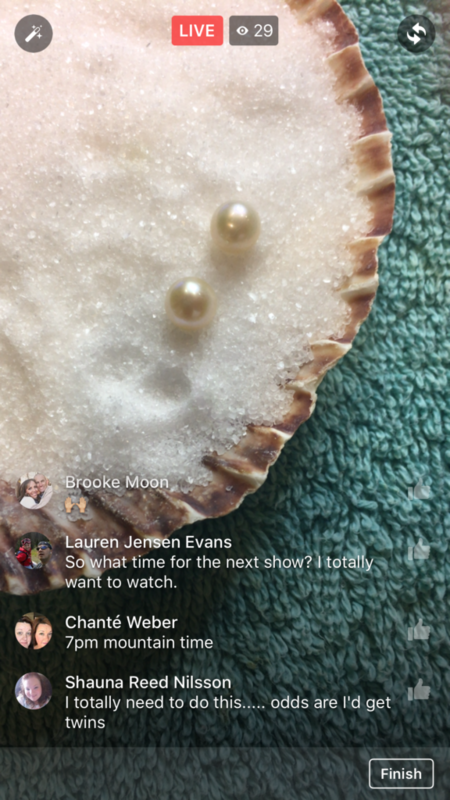 Watch our live and strangely addicting show as we open your oyster to discover your pearl! We will then set your pearl in the jewelry setting of your choice. You can also choose to open your own oyster at home (be sure to add a comment on your order that you would like to open at home). We carefully chose the best pearl farmers in the world for top quality, excellent value and sustainability. See upcoming show dates below. Be sure to follow the Facebook page to get access to the live show.